There are two types of people in this world: those that don’t mind pests and bugs…and those that do! Regardless of your “type” there is one thing that all of us have in common: wild pests and bugs don’t belong inside of the home! If you live in Minnesota and have started noticing creepy crawlers around your home or business, it may be time to call Eco Tech! Eco Tech is Minnesota’s best pest exterminator! We provide both all natural and traditional methods in eliminating pest problems and restoring your home to it’s rightful state. We are a professional and family-owned business that has over 50 years of combined experience within the twin city area that makes us experts in the field! We are successful at what we do because we have become extremely familiar with the local pest problems in this area! 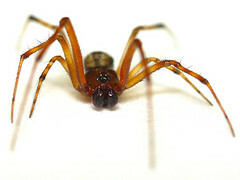 If someone sees one spider or insect crawling on their floor, chances are they don’t think much of it. Then more and more gradually appear until they start feeling uncomfortable in their own own home! Bugs have a tendency to rapidly multiply and before you know it, you could have a real infestation problem! Pests can cause serious risks to your property and your health! 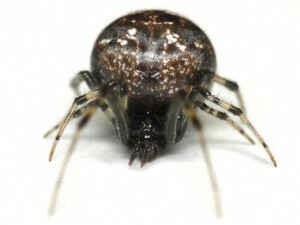 They carry dirt, diseases, and invade all facets of your home! Don’t let that be you this year! Call Eco Tech to inspect and keep unwanted pests away from your home! Eco Tech takes pride in the advanced and skilled staff that goes to every job site. We want to ensure that every customer is completely satisfied with what they are receiving. We offer both all natural and traditional methods of pest extermination and leave it up to the client on how they would like it handled. As an organic pest control company, we can provide all-natural solutions that leave your children and pets safer, as well as any wildlife around you that may prey on those insects. If you have a pest problem and live in Minnesota, it’s time to give Eco Tech a call today! We offer 24/7 emergency services and serve the twin cities metro area! Call us today at 763.785.1414 or visit us online at www.greenmnpest.com.